I began kayak fishing in 2006 having fished from childhood and have yet to grow out of it. I mostly fish the rivers and sea around East Anglia but have also fished from a kayak in the United States, France and South Africa and have launched over a hundred times each year since 2007. My need is for fast kayaks with great sea-keeping abilities that combine light weight and strength hence my choice of the MidWay and Tempo. Trolling, drifting or anchored and fishing with bait or lures I target anything and everything dependant on what's around and what I feel like doing on the day whether it's an inch long or a few feet. and if I can't fish I drag out the surf or sea kayaks My paddle clothing is supplied by Palm Equipment Ltd and my fishing tackle by Fladen Fishing UK, keeping me dry and covering me from waggler fishing from the bank to uptide fishing from boats as well as the year-round, all-weather fresh and saltwater kayak angling. I'm very excited to see how much we can achieve as the UK's RTM Kayak Fishing Team in 2014 and the years ahead. I began kayak fishing in 2012 and quickly became addicted to this exciting sport. I fish for all species of fish that swim in the diverse waters off Cornwall. I enjoy fishing at anchor for ray and species fishing on the drift in sandy bays. I occasionally fish deeper water over reefs and mixed ground which can throw up all sorts of species. 10ft deep to 200ft deep, rough ground, reefs, clean sand, muddy tidal estuaries, mini-species, specimen heavyweights... i enjoy them all! I require a platform designed to make fishing as comfortable as possible and the RTM Abaco 4.20 provides this. Cornwall is fairly exposed to the weather systems rolling in off the Atlantic and this can lead to big sea conditions around the coastline. The Tempo is my kayak of choice when going out in the rough stuff or when i know i will be doing lots of paddling. I compete in the international online kayak fishing competition 'Kayak Wars' and compete locally in boat competitions from my kayak. Bring on 2015! I started kayak fishing in 2009, and have enjoyed every second of it , I normally fish the sea north or south of the River Tyne . I can either fish the rough ground around the cliffs or around the wrecks. Having the river and the North Sea on my doorstep I have the best of both worlds. The fish I target are mostly cod, ling and pollack and anything else that is swimming past my kayak. In the summer months I travel to places like Luce Bay in Scotland, Runswick Bay, Flamborough, Whitby and Scarborough to mention a few , targeting the tope, bass and thornback rays. I will be using the Tempo Angler mainly to fish the offshore wrecks as this will give me the ability to reach them more quickly and the Abaco 4.2 for the rest of my general fishing needs as it is a great all-rounder as I need something that is easy to manoeuvre and stable in rough seas;, This is going to be a very interesting year with all the competitions and teams competing against each other, I can't wait for it. I began my Kayak fishing back in 2009 and very quickly got hooked. 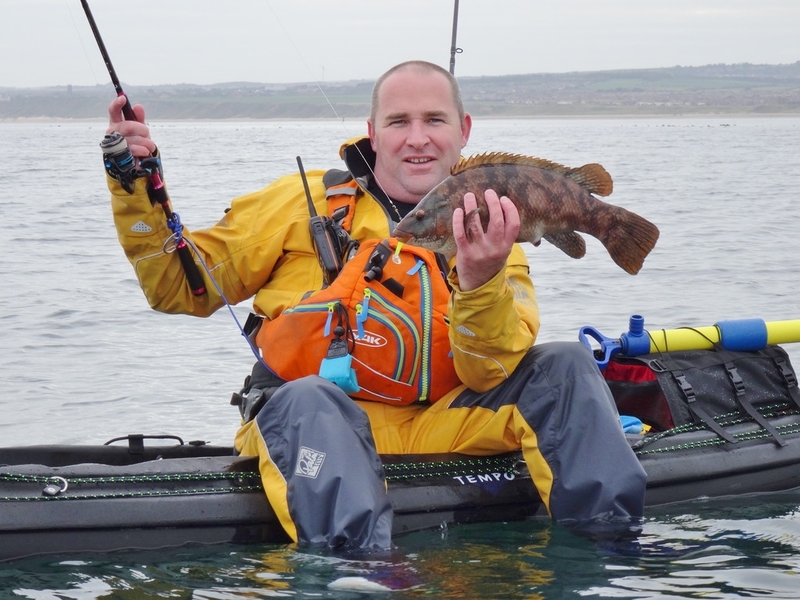 Living on the stunning North Yorkshire coast and having a love of fishing and all things outdoors since I was very young, Kayak fishing has been a great way to get out amongst it whether that be fishing trips targeting big fish on light lure tackle (my favourite method) ,Surfing or playing in wild sea conditions (Used to scare me but have grown to love), touring the coastline or even free dive spearfishing. ​I also have a big passion about the safety side of things and try to do whatever I can to equip myself for the often tough conditions from making sure I have the right equipment but also the mind-set and ability so self rescue and assisted rescues are high up on my priorities plus I just love an excuse to fool about on and in the water. This also lead to me being chosen as a team paddler for 1st Wet & Wild water sports with Fi and Ken being a great help sorting me out with the right equipment. The kayak choice is all tied in with this and I have been a big fan of the sleeker quicker kayaks. 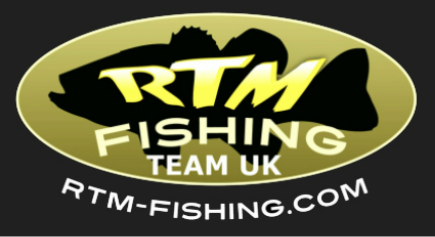 I can’t emphasise enough how proud I am to be part of the RTM UK fishing Team and looking forward to exciting times ahead.